It’s a refrain echoed over and over in discussions around shifting from legacy infrastructure to the cloud: the need and desire are there, but the path is challenging. One function of the FedRAMP program office is to streamline that process, providing a standardized approach to security for cloud. 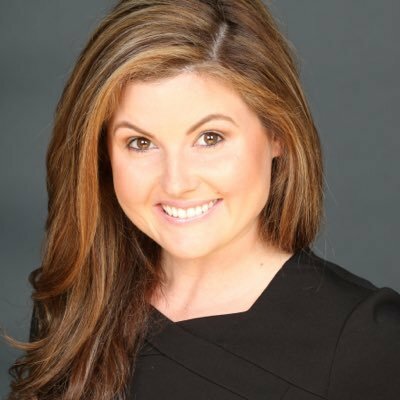 Acting Director Ashley Mahan recently talked with WashingtonExec about how the Federal Risk and Authorization Management Program has grown and evolved since she came on board as an evangelist in 2014 before moving to her current position within the last year. Before FedRAMP, Mahan worked for many years as an information assurance specialist in various programs under the Defense Department as well as in the intelligence community and law enforcement. “I saw first-hand how technology greatly impacted the effectiveness of various high-stake government missions and realized the importance of cybersecurity,” she said, explaining she had her eye on the FedRAMP program for some time before joining. She’s also seen the power of reciprocity as cloud technology allows for the same security controls that protect data at one agency to do likewise at others. The program management office within FedRAMP provides guidance for both parties. As an evangelist, Mahan led efforts to grow the number of participating agencies from roughly 60 to well over 150 and the number of FedRAMP-authorized cloud service offerings from 63 to over 130. While participation has grown significantly within the past two years, dubbing 2018 as “the year of the SaaS,” there is still a lack of understanding in some cases about how FedRAMP can streamline rather than unnecessarily complicate cybersecurity, Mahan said. FedRAMP’s list of authorized cloud service providers provides a starting point from which agencies can tailor their efforts. Besides that, Mahan said, there is a belief among some agencies that the initial authorization process is much more burdensome than it actually is. The agency’s responsibilities are streamlined in determining if the cloud service providers’ security implementations are acceptable, understand and implement their roles and responsibilities associated with the security requirements and issue an authorization for the agency to use the product. Post-authorization, there are continuous monitoring activities the cloud vendor and agency jointly work on. Nor is the program geared only toward large organizations. Some 34 percent of cloud service providers that have received FedRAMP designations (FedRAMP Ready, FedRAMP In-Process, FedRAMP Authorized) are in the small business category. So where has FedRAMP been, and where is it going? In 2018, the office streamlined and simplified the authorization process and increased adoptions of secure cloud technologies through several approaches, Mahan said. FedRAMP Tailored, a simplified risk management approach around low-impact Software-as-aService, reduced authorization timelines by 75 percent, in some cases allowing agencies to receive authorization in as little as a month. A partnership with the Baltimore Cyber Range resulted in the first-ever industry standard for certifying individual assessors. Last year alone, FedRAMP introduced 40 new cloud service offerings that are now available for agencies to reuse. Mahan said her proudest moments in her role revolve around seeing the impacts FedRAMP and cloud technology bring to the federal community as well as citizens. “I am very thankful to be a part of an incredible team at the General Services Administration, the opportunity to serve others and to work with amazing technologists, security practitioners and mission owners from across the public and private sectors,” she said.